$1 Well Cocktails, House Wines and Domestic Beers all night. 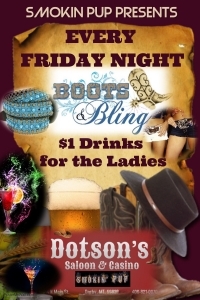 Ladies night out, come party safely at Dotson’s Downtown Darby. 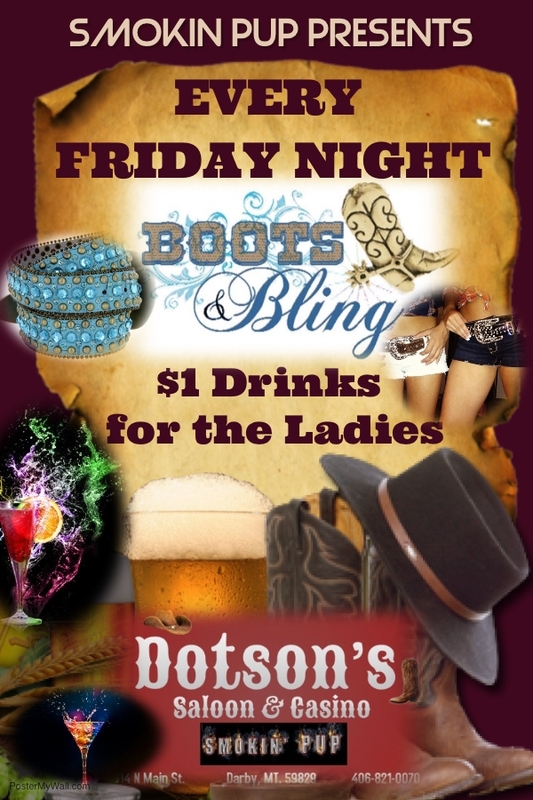 Boots & Bling, it’s a country girl thing.